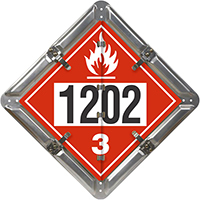 Contents Flammable 1202, Flammable 1203 placard flip panels. 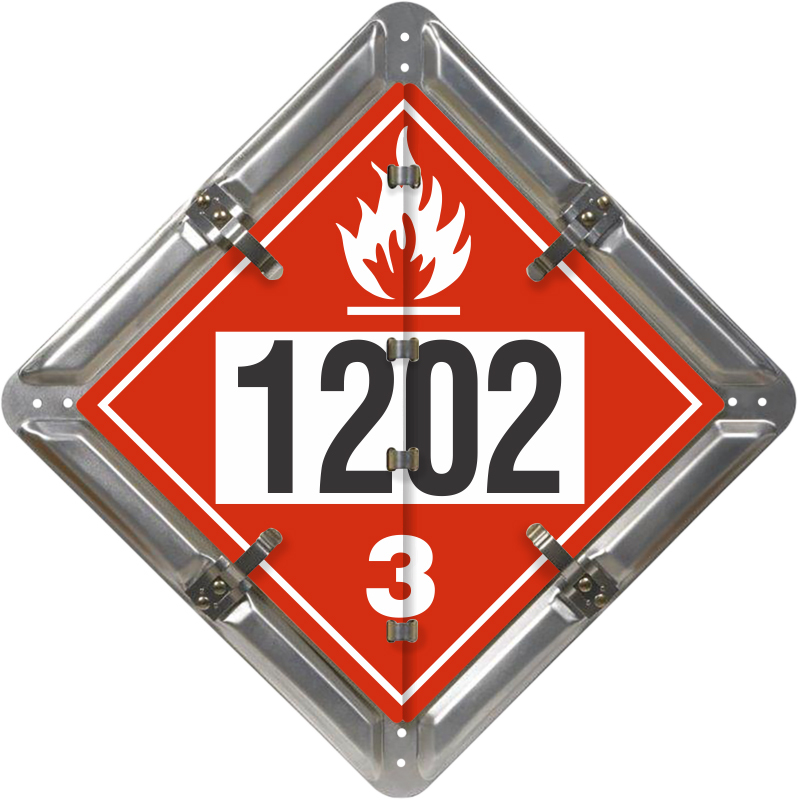 These Flip-n-Lock™ placards are ideal for fuel oil and gas transport. • Base panel backing plate is natural aluminum. • Placards are printed onto a 32 mil aluminum, which is 33% thicker than the 23 mil aluminum used by others. • Panels flip smoothly – yet stainless steel clips lock in your legend securely.